So spring is officially here for everyone. East coast people I rebuke any more cold weather storms, feel free to join spring with the rest of us. I'm personally excited to be wearing white and bright spring colors like in the outfits above. 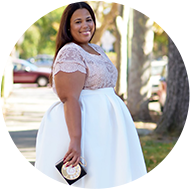 This post I partnered with Just My Size to bring you stylish and affordable plus size fashion. I think most of us are familiar with Just My Size. They are always my go to for hosiery and work out gear, but did you know they have clothing (and fancy clothing at that) as well. Let's talk fashion. So I chose these two dresses. The middle had so many of my favorite colors. You know I'm a sucker for vibrant colors like hot pink. This was such an easy dress to wear, all I did was add a belt and go. 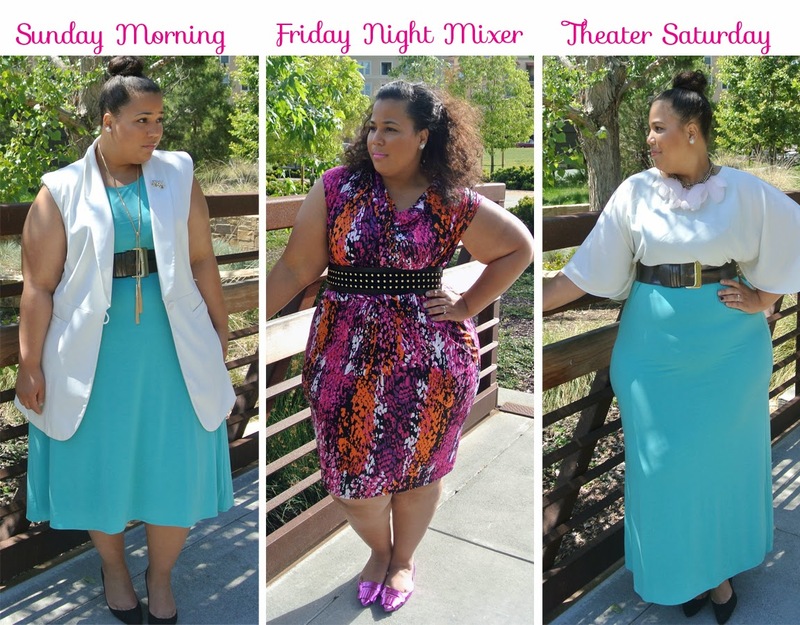 The maxi dress is in a vibrant teal. There are so many ways, in addition to the ones shown, that this dress could be worn. I definitely see this on some of my upcoming vacation for a more relaxed look. All I would need to do is add sandals and curly beach hair. (Can you tell that I am dreaming of Jamaica? Just 2 and 1/2 more months. LOL) As you see, I tucked some of the dress underneath your belt you can go from maxi to midi. It's a super simple transition. Style Notes: Both items chosen both are made of stretchy fabric and felt good on the skin. For my ladies that are looking for extended sizes, Just My Size does have some styles that do up to a 6X. Yay! Look out also for the career coordinates on their website. You can literally get a suit (jacket and skirt or trousers) for under $70. The maxi length is perfect for those 5'9 and under. This post was sponsored by Just My Size, all opinions are 100% my own. These are all so beautiful and perfect for the spring. You are amazing girl. You're so beautiful!!! Love your blog! You always look so great! Your confidence in yourself is encouraging! Every time I see you looking fly I'm encouraged to walk in confidence! How is the JMS sizing? What size are you wearing in this post? Do you feel like the sizing was accurate? Should we size up or down? Love the real dress! I am a regular JMS shopper - I must admit that I have mostly focused on their hosiery and undergarments though. Look like their apparel is on the come up! Great style...lovely ensembles...charming mix of colours...Cheers! I love that JMS dress! I think I'm ordering it need some advice. All my weight is in my pooch belly. How do I wear that gorg dress without drawing attention to the pooch? This may work for you. The print is already going to distract and camouflage. Their is slight rushing in the dress at the tummy that will always help to camouflage. Where did you get your belt from, to go with your multi color dress? I am glad a friend suggested reading this blog! Stunning looks!